There's no denying that springtime in New York is a magical experience. But even the most floral-filled field in Central Park doesn't come close to Pandora's new digital garden open to the public this week on the High Line at 16th Street. Using state-of-the-art virtual technology, the beloved jewelry brand has created an immersive butterfly garden, a multi-sensory room filled with touch-screens where digital butterflies will actually land on you - making for the perfect 'gram. 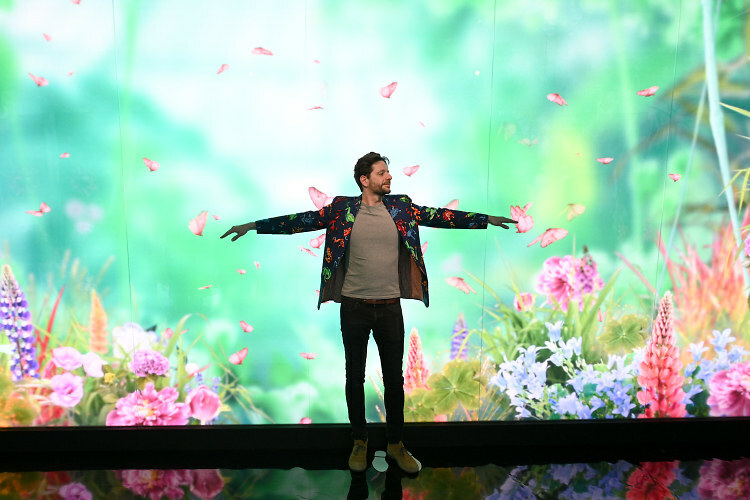 Created in partnership with multimedia studio Moment Factory, the installation coincides with the launch of Pandora's new Spring 2019 collection, in which whimsical motifs like ladybugs, clovers, and flowers glitter in precious metal, from sterling silver to Pandora Rose and Pandora Shine. At an event to celebrate the launch on Tuesday, co-creative director, Filippo Ficarelli, said that the collection was inspired by the embrace of love and diversity - after all, a garden is only as beautiful as the harmony with which different forms of life come together. From a gorgeous dinner attended by global fashionistas including Chanel Iman, to the stunning new collection, click through for an inside look at the Pandora Garden - and don't forget to visit the installation through March 29!